There were a million things that could have gone wrong during your driving test and sadly, something did. Unlucky for you, you just failed your driving test and you’re wondering what to do next. The first thing is to not panic — only 40% of people pass the driving test on the first try. That means that 60% of people fail the driving test the first time they take the test. A key thing you have to know is that if you fail the test you cannot drive away on your own and it’s required a licensed driver is with you. If you haven’t taken the driving test yet, it’s important to understand the process you will go through after the test. When you return to the registry, your testing officer will calculate your result on the test score sheet as you wait. After your result is ready, you’ll be called to the counter. If you passed the driving test then you’ll be congratulated with a new P1 licence that you will need to pay for. But if you failed, the test score sheet will indicate areas of improvement and the officer will make brief comments on what you could have done better. However, testing officers are not permitted to discuss any specific situations or events. Through the general comments, it’s important for you to draw upon the specific situations where you could have made a mistake. If you are genuinely unsatisfied with the way the test was conducted because the test was conducted unfairly and not just because you were unhappy with the result, you have an opportunity to contact the manager of the registry who will look into the complaint and have a further discussion with necessary. 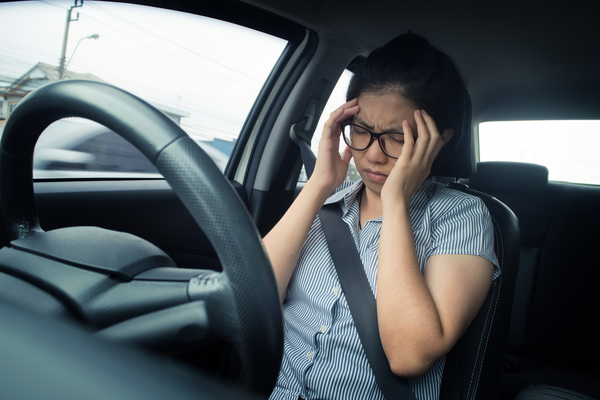 On the other hand, it’s wise to look on the positive side of the situation — you’re able to get more practice in and you’ll be an even better driver when you do get your licence. Remember that in order to the pass the driving test you must have no more than 3 errors in the pre-drive checklist, no critical error mistakes and no more than 15 errors while driving on the road. If you want to have a look at the test score sheet, look in your driver’s manual or here on page 36. Nevertheless, if you have failed you will receive your test score sheet back with what you’ve done well and what errors you made. Maybe you might have driven perfectly except for one critical error mistake you made because you didn’t stop at a stop sign because you were nervous or maybe you didn’t manage to reverse parallel park (link to reverse parallel parking blog) properly. Regardless of what caused you to fail, it will be on the score sheet and it’s important to look at the score sheet and improve on it next time. If you want help with understanding how you can improve, feel free to book a lesson with LTrent with your score sheet and our experienced instructors will make sure you fix your mistakes so you have a better chance at passing the driving test next time. The next steps are to book another driving test. You must wait a minimum of seven days before taking another Driving Test. If you want to book another driving test, you’re able to book at the registry that you took the test right then and there. However, LTrent recommends that you practice what you’ve done wrong before booking again.